This meatless lentil casserole is a great one for any night of the week. 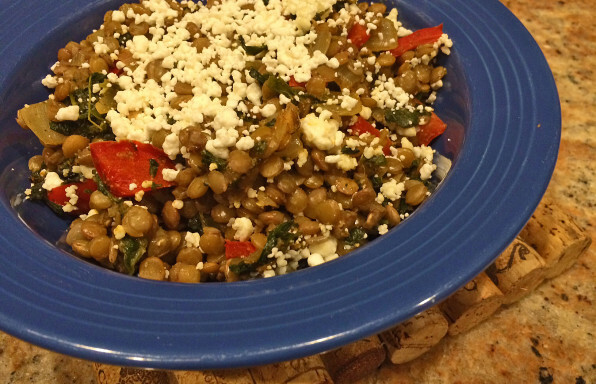 Hearty lentils with creamy goat cheese create a flavor even a meateater will crave. 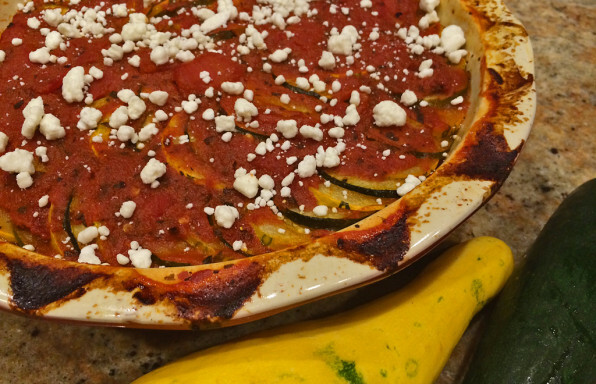 This baked ratatouille dish is as fun to eat as it is to say. With a variety of squash, eggplant, and tomatoes, this dish is truly one for your classic cookbook. It's sure to impress at any dinner party! This is for my fellow beet lovers! I'm not sure how many there are out there, but this is an easy and healthy recipe idea using a very colorful array of fruits and veggies. 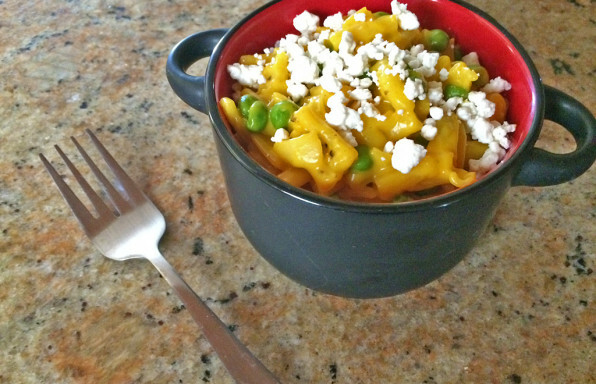 Have a craving for boxed mac and cheese, but want just a little more flavor? This recipe using boxed mac and cheese helps everyone's childhood favorite grow up a bit with the spiciness and saltiness of turmeric, garlic, and goat cheese. 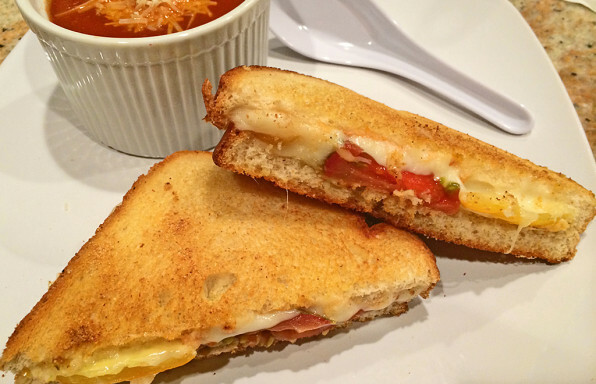 This elevated grilled cheese will warm your soul with the robust flavor of heirloom tomatoes, the creaminess of the Havarti, and the crunchiness of lightly toasted bread. While this dish may be simple, it is not short on flavor! 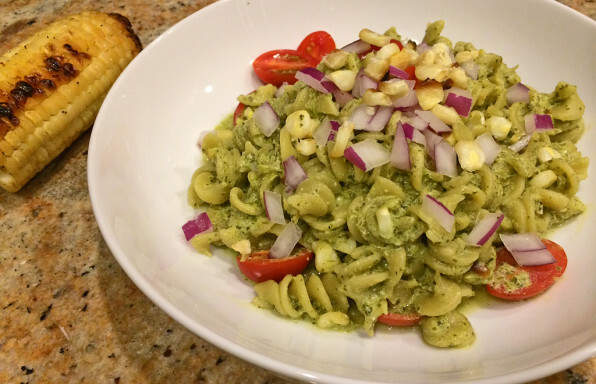 This chimichurri pasta dish offers up a myriad of flavors and is probably not for the bland at heart. The sweet smokiness of the grilled corn, the herbacious tang of the cilantro chimichurri sauce, and the creaminess of the Greek yogurt make this pasta one for the recipe books. 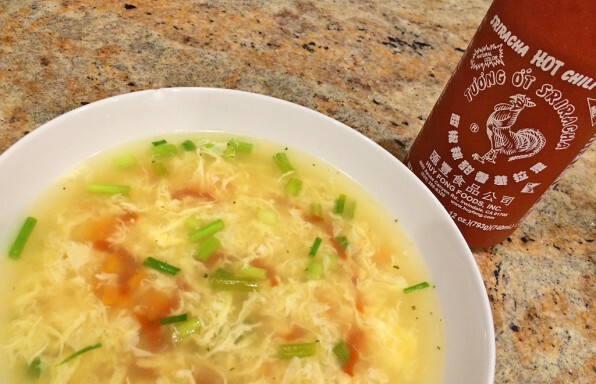 This spicy egg drop sriracha soup will warm your soul and spice up your tastebuds. Made in less than 30 minutes, you won't even need that takeout number. 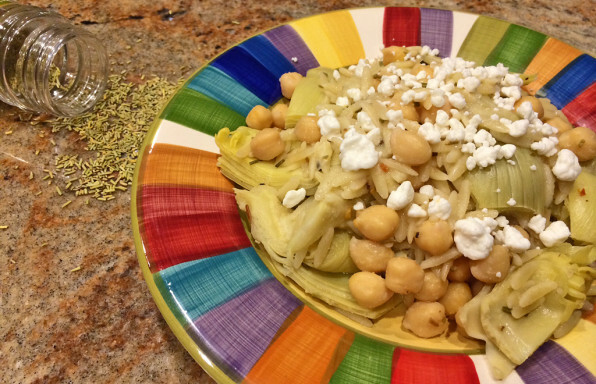 This artichoke and chickpea pasta bake is a great meatless meal option. Made with orzo, lemon, and rosemary, the flavors of this dish are sure to please the whole family. You won't even miss the meat in this meatless stew. 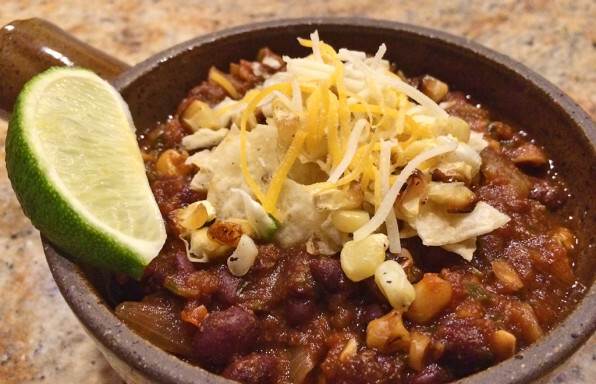 With hearty black beans and your favorite salsa flavor, you won't even notice it's vegetarian. 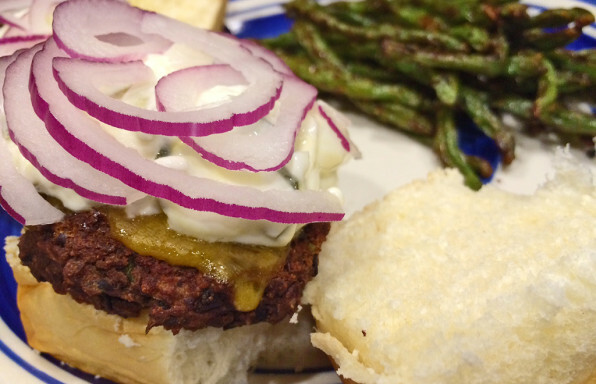 These homemade black bean burgers are a great meatless stand-in for those fatty beef patties. Made as sliders or full-size burgers, they're sure to please. This is a great recipe to get the family to eat their greens. Most people love pasta, regardless of how they feel about greens. 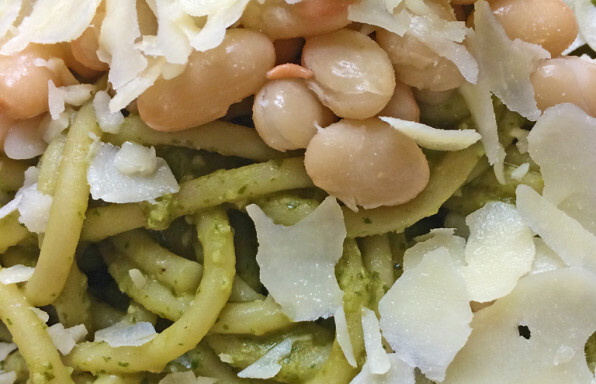 Since the Vitamin K from the arugula and the nutritional fiber from the white beans are under the guise of pesto, no one will be the wiser. 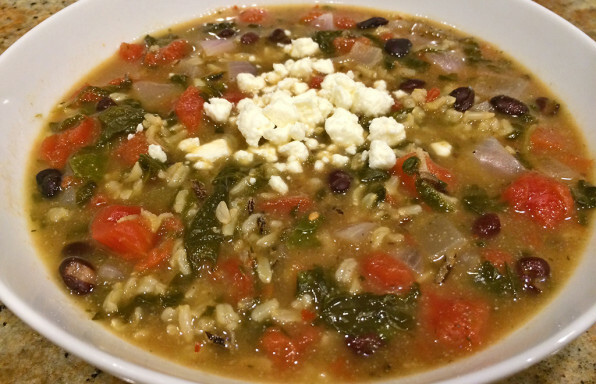 This black beans and wild rice soup is an easy vegetarian recipe will lots of great flavors. Black beans, spinach, and wild rice mix together in harmony. 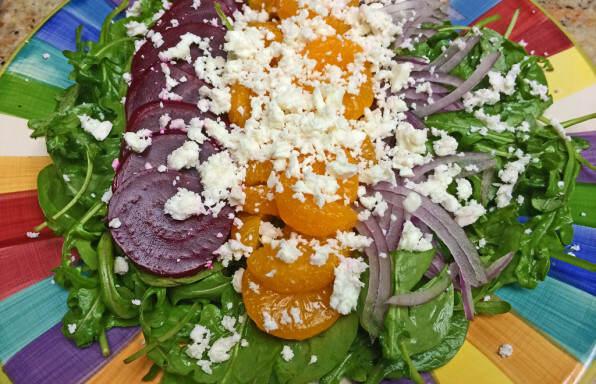 Studies have suggested that eating a colorful diet may be more beneficial to your health. Rainbow carrots are not only colorful, but tasty to boot! 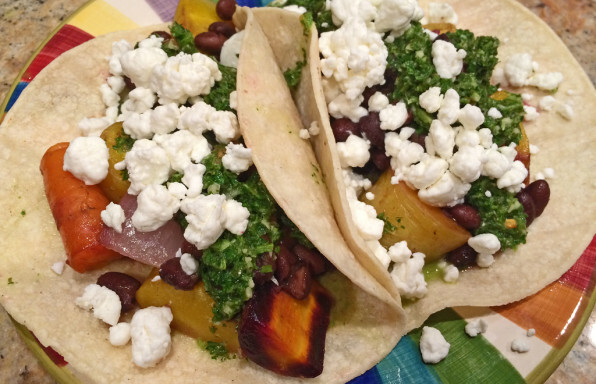 Combining their rich hues and gentle sweetness with the protein-packed bite of black beans make this meatless taco dish a sure standout. This is my take on a healthier salad version of BBQ chicken pizza. 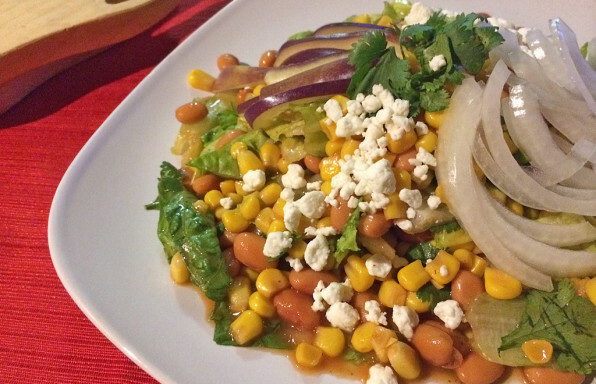 In this meatless recipe, pinto beans are a great protein swap for chicken and the tang of the honey BBQ dressing pairs nicely with the sweetness of the corn. Cilantro and goat cheese bring home the more traditional flavors of the pizza. 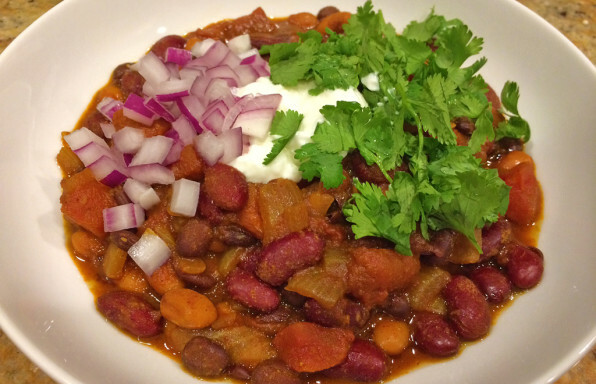 This meatless chili is sure to please! Vegetarians and meat-eaters alike will appreciate the spicy sweetness of turmeric and honey complemented by an array of 3 different beans. Serve with Sriracha Garlic Bread or Cornbread. 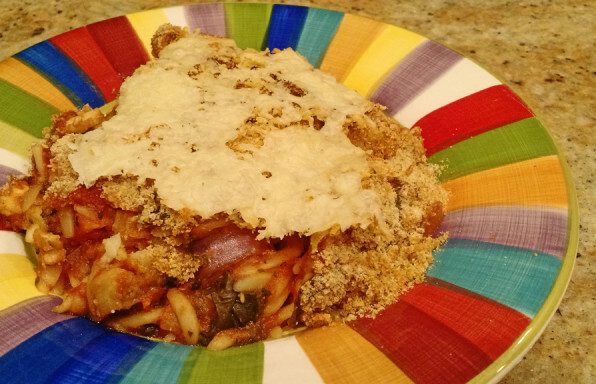 This eggplant Parmesan casserole combines the classic flavors of eggplant Parmesan in an easy to make dump dinner for the oven. Just dump, bake, and enjoy!